1 Jamshedpur FC under the guidance of Cesar Ferrando got their second Indian Super League campaign to a flying start by putting Mumbai City FC to sword with a fine 2 - 0 victory at the Mumbai Sports Arena. Goals from Mario Arques and Pablo Morgado confirmed all three points for Jamshedpur FC in their opening encounter. It’s outstanding to win the first away game in Mumbai. We had a lot of Jamshedpur FC fans supporting us, which was great to see. The coach had promised us that Jamshedpur FC will play a different game this year. It’s a great initiative. Last season, unfortunately, we couldn’t make our fans connect to their team, when the team was playing away games. So, it’s a great way to get our fans together to support the team. 3 After a great display in Mumbai, Sree Kanteerava Stadium witnessed a Indian Super League classic as Jamshedpur FC and Bengaluru FC played out a 2 - 2 draw. The match went right to the wire as Sergio Cidoncha scored a stoppage-time equalizer for the away side. Nishu Kumar and Sunil Chhetri were the scorers for Bengaluru FC while Gourav Mukhi had equalized earlier in the game for the visitors. Bengaluru FC are regarded as one of if not the best team in the league and salvaging a point against them was no mean feat. 4 To cater to the people of Jamshedpur, Jamshedpur FC Began Offline Ticket Sales at selected places across the city. The ticket buyers would receive an SMS for the ticket issued here and could later go and collect the same from JRD Tata Sports Complex Box Office before matchdays as per the timings of the box office. Also, with Paytm & Insider.in as the club’s ticketing partner, the Paytm scan & buy tickets facility would also be available in thirty stores across various locations in Jamshedpur. 5 To have the club at the fans’ fingertips and to keep the fans up-to-date regarding everything surrounding the club, Jamshedpur FC (JFC) launched their Official App on Google Playstore for Android based phones and App Store for Apple iPhones via Gourav Mukhi and Mobashir Rahman. 6 With the stage set for Jamshedpur FC to host their first opponents at home, The Furnace witnessed an entertaining start to the 2018/19 Indian Super League season with Jamshedpur FC and ATK playing out a closely-fought 1 - 1 draw. Sergio Cidoncha scored the opener in the 35th minute which was cancelled out by ATK's Manuel Lanzarote right at the stroke of half-time. 7 In another intuitive step with regard to the grassroots programme, Jamshedpur FC conducted a Youth Coaches' Workshop for the TSRDS coaches of the Kolhan Region at the Tribal Cultural Center in Sonari. The workshop was arranged to guide the coaches that train young footballers in the age group of U-13, U-15 and U-18. The club believes that this initiative will go a long way in developing the coaches which will in turn, help the youth football to grow in the Kolhan region. 8 Having garnered an impressive unbeaten run with three games gone by, the clash against North East United in Guwahati was a stern test of that impressive record. The resulting match registered two goals, one sending off and plenty of drama! And was regarded by many as a feisty affair. Bartholomew Ogbeche gave North East the lead in the 20th minute while Farukh Choudhary equalized for the visitors four minutes after the break. 9 The statement “Jamshedpur is a land of football” was proven a sustained fact with the immense success of the JFC Fan Park initiative. After its introduction, the people of Jamshedpur had an opportunity to witness every away game with same craze as the home game. When we faced North East United in Guwahati, the Fan Park was thoroughly ready with all the needed amenities for the fans to experience the away match. A total number of 1500 fans made their presence felt at the Fan Park in our battle against North East United and celebrated every moment of the game. 10 With the unbeaten run still intact, we hosted a formidable opposition in Kerala Blasters. A game of two halves ensued at the Furnace with Jamshedpur FC and Kerala Blasters sharing the points in an intense 2 - 2 draw. Cesar Ferrando's men raced into a 2 - 0 lead at the break with Tim Cahill and Michael Soosairaj scoring their first goals for the club. But Kerala Blasters managed to wrestle back the advantage with second-half goals from Slavisa Stojanovic and CK Vineeth. 1 Right at the start of the month, the stage was set for an epic clash against FC Goa. It was safe to say that both the sides had bad blood between them given the manner of their previous encounters. What followed was simply unprecedented! Jamshedpur FC put FC Goa to the sword and smashed four goals past them to register a 4 - 1 win on home soil. This result was just what all the supporters needed after four straight draws. 2 Pursuing the goal of promoting the sport of football and providing the best platform for the kids in the city, Jamshedpur FC launched their second Football School in the region in conjunction with Kerala Samajam Model School (KSMS), Golmuri. This was the club's second football school in the city with the first one being opened at Mt. Litera Zee School, back in August. The Football School at KSMS drew a tremendous response from the school kids as the registration day on October 27 which saw over 100 participants registering for admission in the School. The kids had a ball on the field as the coaches and volunteers gave footballing lessons to the ever-attentive children. 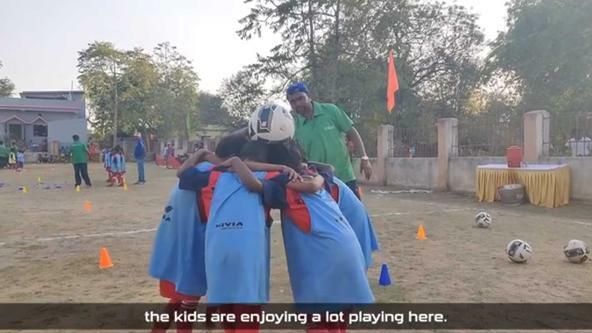 3 Following principles laid down, Jamshedpur Football Club conducted trials for its Tinplate Sports Complex Feeder Center for age groups of Under -13 and Under - 15. The Jamshedpur FC trials would be conducted under the guidance of Mr. Kundan Chandra who is the club's Head of Grassroots and Youth Development. 4 After a statement victory against FC Goa, Jamshedpur FC travelled to the capital to face the Delhi Dynamos. A swift counter-attacking move, a brilliant comeback and then an equalizer. The match-up in Delhi surely lived up to its billing as an entertaining encounter between two sides going into this game for extremely varied reasons. Delhi Dynamos needed a win to kick-start their faltering season whereas Jamshedpur FC needed to capitalize on the winning momentum that they had gained. Both sides tried their luck to find a winner in the final quarter of the game. But it wasn't meant to be as the honours were shared in a tightly contested battle at the Jawaharlal Nehru Stadium in New Delhi. 5 With Jamshedpur FC committed to giving local talent a chance at the highest stage, RFYS concluded their Football tournament with the finals of all categories being hosted at the Tinplate Sports Complex in Jamshedpur. The tournament was graced by Jamshedpur FC’s Head of Grassroots and Youth Development, Mr. Kundan Chandra and Head of Operations, Mr. Raja Battacharjee. 6 In the effort to identify and nurture the young talent in the city, Jamshedpur Football Club conducted under-13 trials at Tinplate Sports Complex. The trials received a tremendous response with over 240 kids turning up at the venue. November 11 was set to be the final day of the under-13 trials. 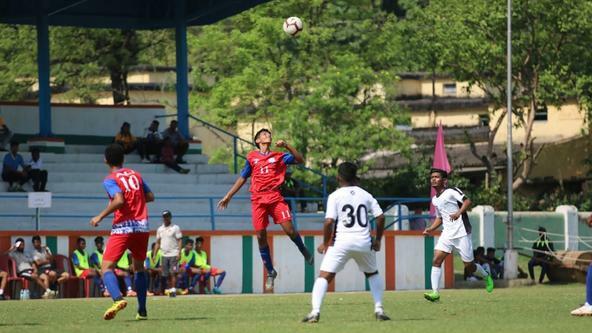 7 The Jamshedpur FC U-18 team played their first zonal game of the U-18 Youth League 2018/19 and drew 2 – 2 against Sports Hostel Odisha at Barabati Stadium, Cuttack. Playing a highly competitive away match, the JFC u-18’s equalized through Pukhrambam Manisana in the second half. It was an extensively important game for our U-18 squad as they got to know the challenge ahead of them was a huge step forward from playing in their comfort zone. And Sports Hostel Odisha dominated the first half, keeping our keeper busy the whole time and eventually the former succumbed to our squads’ impressive performance in the remaining half of the game. 8 Jamshedpur FC would take another big step in their aim to develop football in the Jharkhand region by launching another football school in alliance with RVS Academy, Mango. The club aims to provide a solid foundation for the children from RVS Academy to take their first steps in learning the sport. The aforementioned programme would include kids belonging to the age groups of U-8 and U-11. A total number of forty-four kids took part in the inauguration of the football school and were supervised by two professional grassroots coaches. 9 Jamshedpur Football Club conducted another Grassroots Football festival at the JUSCO School South Park under the aegis of Mr. Kundan Chandra, Head of Youth Development and Grassroots, Jamshedpur FC. 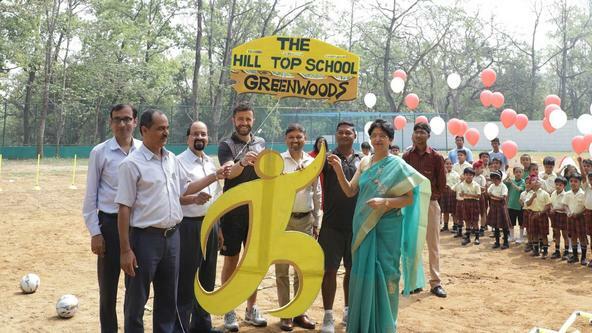 The festival saw a stupendous response as over 500 children participated between the age group of 3-11 years from the JUSCO School South Park. The members from Red Miners volunteered and helped in the overall operations of the entire festival. 10 Jamshedpur Football Club in conjunction with Jharkhand Football Association would conduct their second Grassroots workshop for the coaches which was an open session for anyone above the age of 18. The dates for this workshop were from 19th - 21st of November and the venue would be the Tata Football Academy. This would be followed by a football festival on the last day (21st November) at RVS Academy which was recently inaugurated. 11 Our very own Tim Cahill, announced his international retirement and retired as the most capped outfield player in Australian football history and the country’s record goalscorer. For the Australian faithful he was renowned for rising high to head home at key moments, punching corner flags and relishing in the pride of playing for his country. 12 On a business and youth football development front, Atletico de Madrid announced their collaboration with Tata Football Academy. 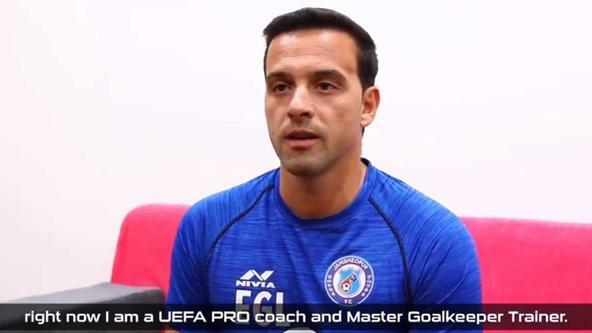 Atletico de Madrid (ATM) would collaborate with Tata Football Academy (TFA), where ATM would lend the technical support to take TFA to strengthen our youth system and take it to the next level. ATM would also have their technical experts visiting TFA to guide and exchange knowledge pertaining to best practices in the areas of physiotherapy, Strength and conditioning, nutrition, video analysis, player recruitments (scouting), periodic assessments and facility management. 13 Jamshedpur FC tasted their first loss of the season, courtesy of a late winner from FC Pune City's Matt Mills. The Stallions, playing at their home incidentally registered their first victory of the campaign with a 2 - 1 margin. The Men of Steel were heading towards their sixth draw of the season before FC Pune City won a corner in the 86th minute. Matt Mills was left unmarked in the box who headed home the winner from the resulting set-piece. 14 After a disappointing result against the Stallions in the previous game, Jamshedpur FC returned to winning ways with a thumping 3 - 1 victory over Chennaiyin FC at the Furnace. The home side bounced back with a statement performance against the defending champions with their 3 Spaniards - Morgado, Calvo and Arques getting in on the scoresheet. 15 Following in the footsteps of the first team, the Jamshedpur FC U18 registered a dominant victory over the FAO Academy in Cuttack. The star performer of this match was Manisana who scored a hat-trick which ensured a victory for his side. Apart from Manisana hat-trick, Manas Gogoi, and Lalboilen Kilong both chipped in with a goal each. The final score of the tie was FAO Academy 1-5 Jamshedpur. With this impressive victory away from home, the Jamshedpur FC U18 team looked to continue their winning run. 16 Right at the end of the month, Jamshedpur FC were ecstatic to announce that the club had completed the signing of 21-year-old midfielder, Malsawmzuala on loan from ATK. The youngster had penned a deal with the Jharkhand-based side and was available to feature for the club for the remainder of the Indian Super League 2018/19 season. 1 The final month of the year started off with a sluggish 0 – 0 draw against NorthEast United. 90 minutes of action could not separate the two sides as they played out a goalless draw at the Furnace. Jamshedpur witnessed a cagey encounter with both the sides looking to play it safe rather than going all-out for a victory. 2 After thumping FAO Academy 5 -1 in Cuttack, the Jamshedpur U-18 side got the better of Sports Hostel Odisha as they emerged victorious with a 1 - 0 score line. Playing at home, the young colts from Jamshedpur registered a hard-fought victory in the U-18 Youth League. With this win, Jamshedpur FC topped their group with 11 points from 5 matches. The young side also had a healthy goal difference of +6. The U-18 side had won three games out of five and have drawn the remaining games to stay unbeaten in their group so far. 3 Unlike the U-18 side, the Jamshedpur FC first team churned out a 1 - 1 draw against Kerala Blasters in a game where they were second best for majority of the duration. Carlos Calvo gave the Men of Steel the lead in the second half through a penalty but a strike from Seiminlen Doungel soon after levelled the proceedings. The game ended with honours shared as Jamshedpur FC struggled their way to their seventh draw of the season. 4 Since its inception Jamshedpur Football Club had made a commitment to develop football in the local region. Whether it be promoting grassroots football or establishing football schools, the goal had always remained the same which is to promote football in the community and bring forward local talent by establishing a strong foundation. 5 Moving on to the final game before the break. A team badly needing all three points after a string of draws. An opponent chasing their first win of the season. Before the December break, Jamshedpur FC were presented with an opportunity to claim all three points and a move back into the top four when they hosted Delhi Dynamos at the Furnace. And that was just what the doctor had ordered, the home side sealed a memorable comeback victory over the Dynamos, courtesy of two fine goals from Tim Cahill and Farukh Choudhary. 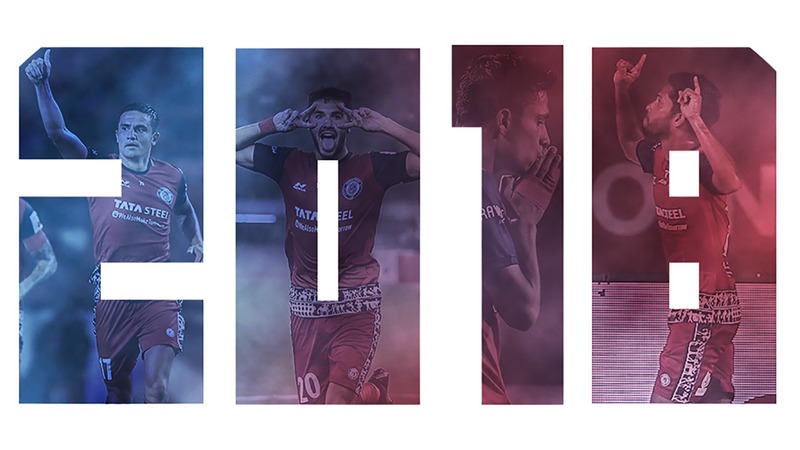 Jamshedpur FC ended their year on a high.